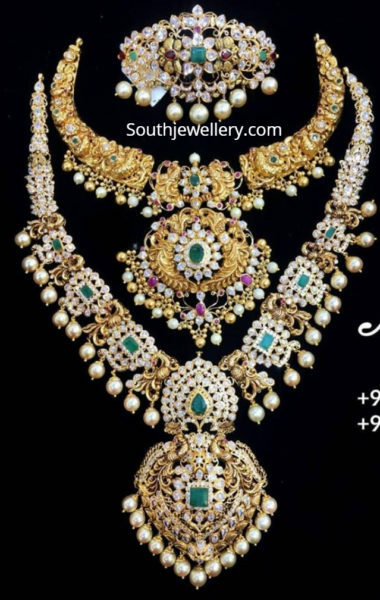 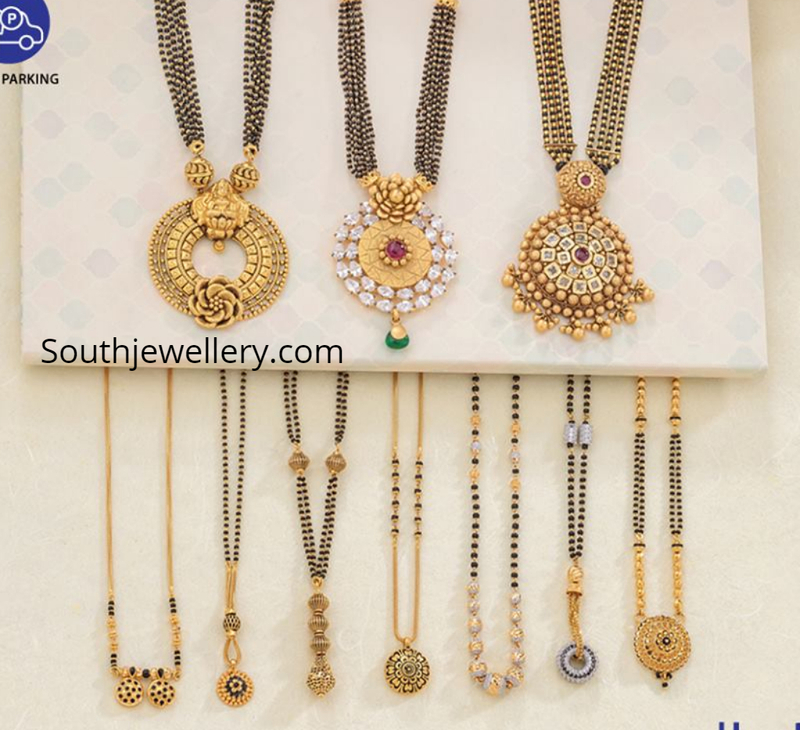 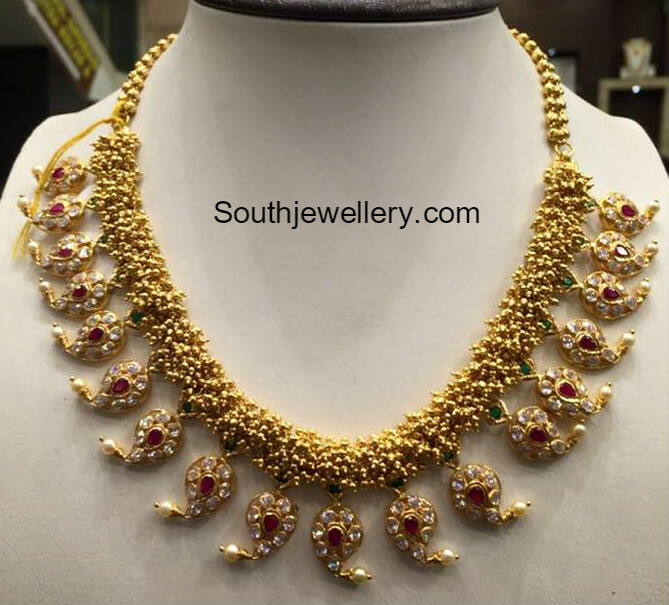 22 carat gold nallapusalu necklace designs by Neelkanth Jewellers. 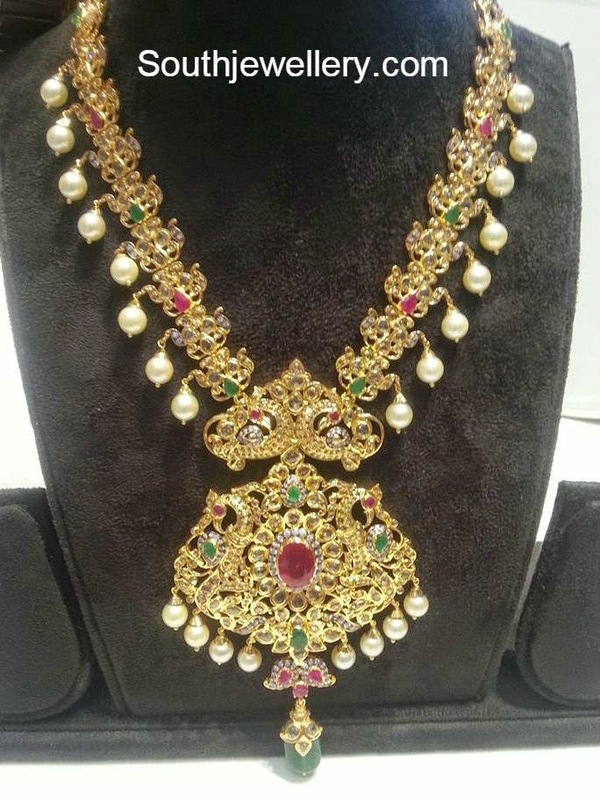 22 Carat gold antique peacock nakshi necklace and haram set adorned with rubies, emeralds and uncut diamonds by Amarsons Pearls & Jewels. 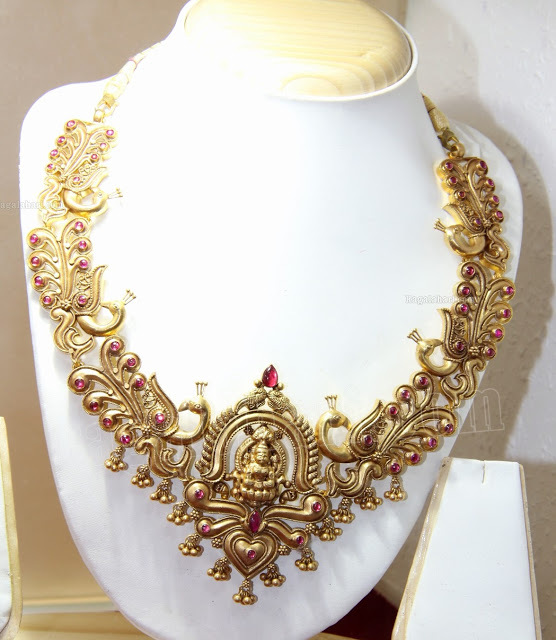 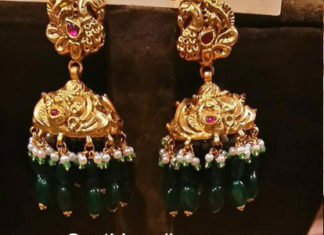 22 Carat gold antique peacock nakshi choker adorned with polki diamonds, ruby, emeralds and pearls by Bombay Jewellery. 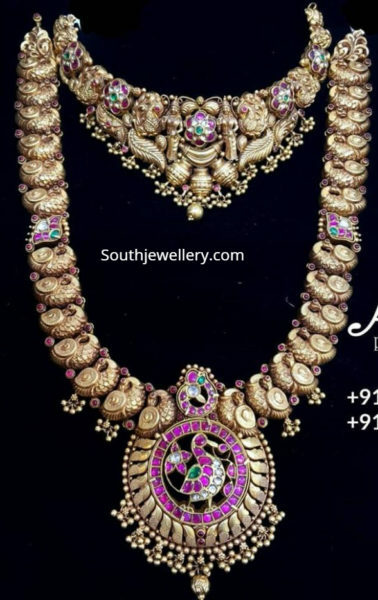 22 Carat gold antique pacchi choker, peacock nakshi necklace and long pacchi haram by Amarsons Pearls & Jewels. 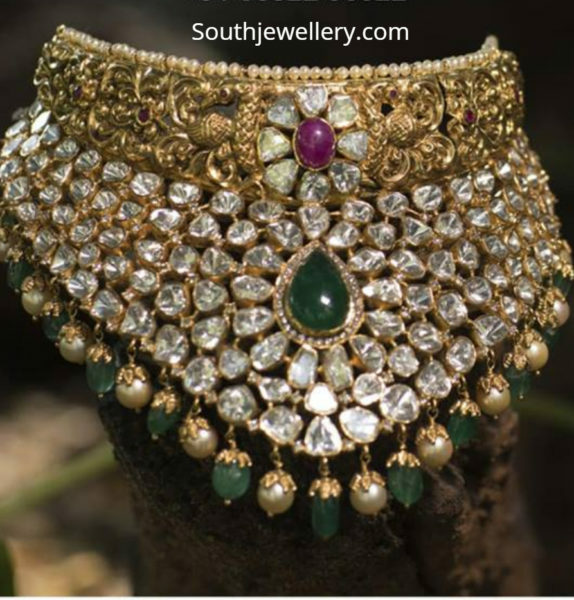 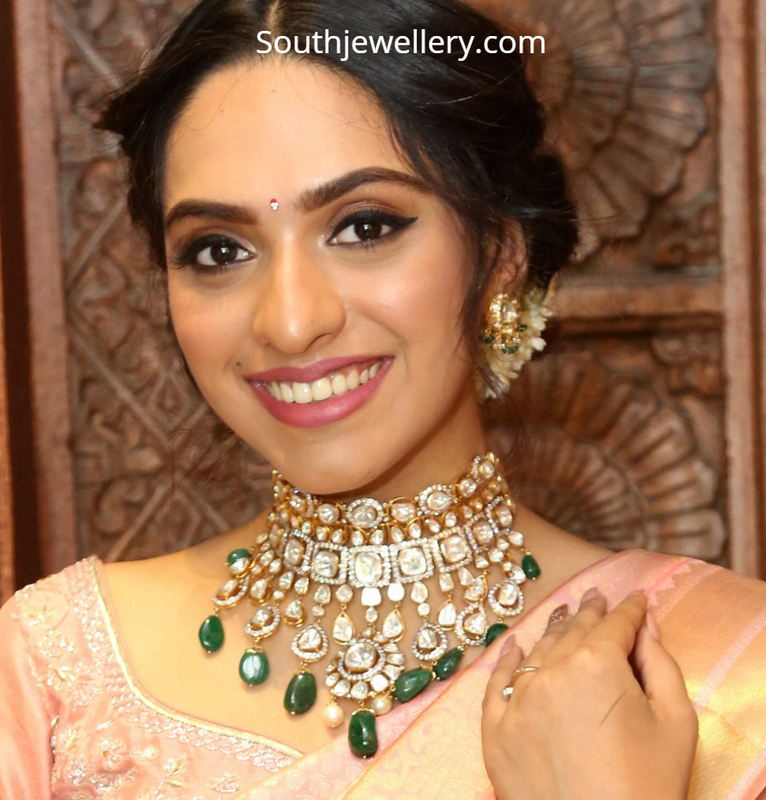 22 Carat gold bridal polki diamond choker adorned with polki diamonds, emerald beads and pearls by Kalasha fine jewels. 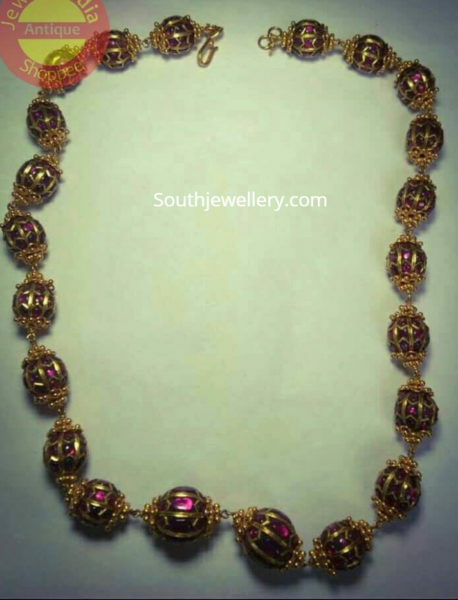 22 Carat gold antique kundan balls chain by Jewels India Antique Shoppee.